At Peregrine Travel Centre SA we love all things travel! Which is why we put together a Travel Magazine twice a year – featuring all of our favourite destinations, travel tips, tour operators, accommodation choices and much more! Winter Edition (published in September) – this edition is both a printed version and a digital version including all of the new travel news for the year ahead! 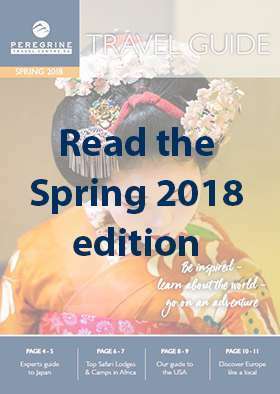 Summer Edition (published in February) – this edition is a digital version only, preparing travellers for the year ahead and a mix of last minute ideas and tips to make the most out of your travels. If you’d like to receive a copy of our printed Winter Travel Magazine in your letterbox – simply fill in your details on the form below. If you’d like a copy of both our Winter and Summer Travel Magazine sent directly to your inbox join our Travel Magazine email list below. If you’re a tour operator or in the travel industry and are interested in being involved in our Travel Magazine please contact Adriana Russo ([email protected]) to find out more.